The Cenovus community investment team is working in the Canadian energy industry, an industry that has seen tremendous change over the past few years. 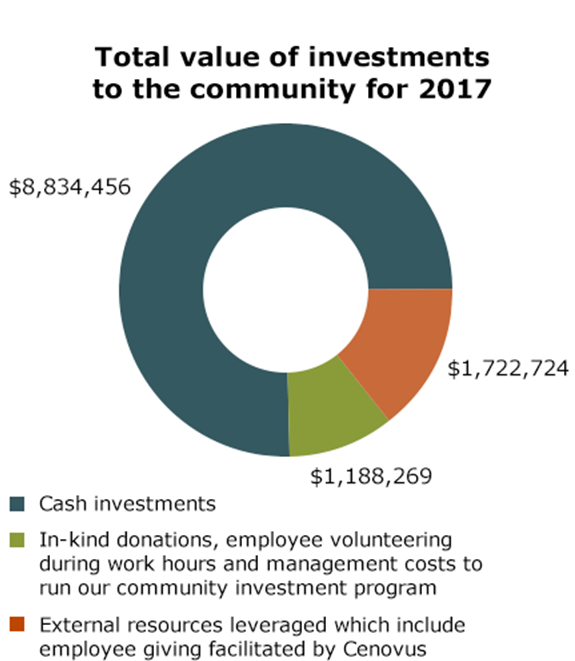 Navigating through uncertain economic times made it necessary for the team to more clearly demonstrate their community investment strategy and the goals of their decisions. 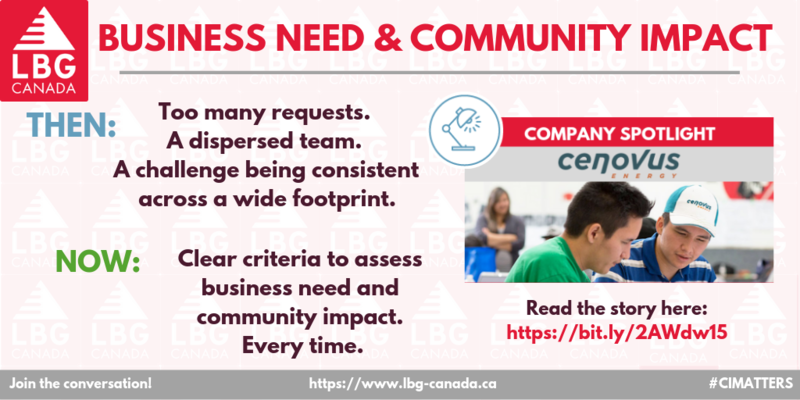 As a team of professionals representing Cenovus to many people in communities, the community investment team is specifically trained to seek out links between business need and community impact. 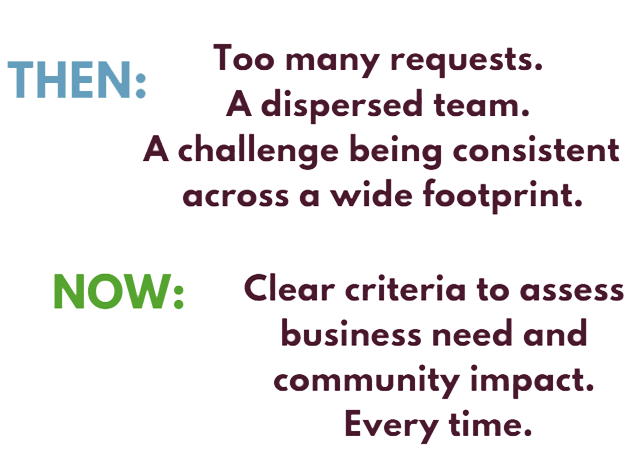 The potential for community impact can be assessed by an opportunity’s alignment with their focus areas, the characteristics of the opportunity and the breadth of their reach. From a business need perspective, proximity to operations, potential to strengthen key stakeholder relationships and the ability to bring attention to the Cenvous brand are important considerations. Once they had begun, articulating criteria seemed like common sense. An unexpected challenge was finding a comfortable and straight-forward way to rank initiatives on a consistent scale, for each of the seven criteria. Establishing the ranking was quite important. Ideally, the score assigned by each criteria’s ranking would effectively illustrate investments that made complete sense, decisions that required more information and opportunities that were not the right fit for Cenovus. While utilization of the decision-making criteria is still in its early stages, the feedback across the broader Cenovus team has been positive. The community investment team is finding the tool helpful in making decisions and assessing requests all through the same lens. This consistency allows for greater confidence in reporting on community activities, because there is a clear strategy underpinning their decision making. “Working on a decision making criteria was absolutely worth the effort,” says Andrea. “I would recommend it as an integral part of how we do our job as practitioners – assessing requests and making sure they are aligned to our strategy and what we value – for both the business and community. The criteria also set us up to continue making process with measuring and demonstrating impact, something we’ll continue to focus on in 2019.